The Secret to True Beauty…. Strange how much effort is put into improving our looks. Through cosmetic products..skin fairness creams for those with dark skin and tanning creams for those with fair skin. Blue eyes for those with brown and hazel eyes for those with green eyes. Hair straightening for those with curly hair and perms for those with straight hair…and the list goes on. We are never satisfied with the way we have been moulded by Allah Ta'ala. The effort and search for the ultimate external transformation continues…yet the effort of improving what we have ability to change, our inner beauty i.e. our character and how we conduct ourselves with fellow humans seldom feature in our lives. Tragically so called "super models" that appear on the covers of glossy magazines have caused great harm to our society by making us focus too much on our exterior self and totally ignore our interior self. Companions of the Messenger of Allah (pbuh) all of them, whether it was dark skin Bilaal or red skin Suhaib Rumi. Whether it was rich Uthmaan or poor Ammaar, whether it was stern and tall Umar or soft Abu Bakr (may Allah be pleased with all of them) everyone of them made effort and devoted much time to building their Imaan and akhlaaq (character). The Messenger of Allah (pbuh) also said" Undoubtedly amongst you, the most beloved and nearest to me on the Day of Resurrection, will be those having the most excellent conduct." It is not that we have to ignore our external self. Beauty and cleanliness is important as Allah is beautiful and loves beauty. But our emphasis must not be on developing only the external self, but more time, energy and resources should be spent in developing our Imaan and character. This will be a source of happiness in this world and more important will lead to eternal happiness when we stand before Allah Ta'ala on the day of Qiyamah. The Beloved Messenger of Allah Ta'ala (pbuh) has taught us the following dua (prayer): Allahumma anta hassanta khalqi fa hassin khuluqi." Oh Allah! You have beautified my appearance so beautify my character as well." Abu Hurairah narrated that Prophet Muhammad (PBUH) said: "The believers who show the most perfect faith are those who have the best disposition and the best of you are those who are best to their wives." When I got home that night as my wife Ameena served dinner, I held her hand and said, I've got something to tell you. She sat down and ate quietly. Again I observed the hurt in her eyes. Suddenly I didn't know how to say it. But I had to let her know what I was thinking. I want a divorce. I raised the topic calmly. Ameena didn't seem to be annoyed by my words, instead she asked me softly, Ismail why? I avoided her question. This made her angry. She shouted at me, "you are not a man!" That night, we didn't talk to each other. Ameena was weeping. I knew she wanted to find out what had happened to our marriage. But I could hardly give her a satisfactory answer; I had lost my heart to a lovely girl called Mary Anne. I didn't love Ameena anymore. I just pitied her! With a deep sense of guilt, I drafted a divorce agreement which stated that she could own our house and the car. She glanced at it and then tore it to pieces. The woman who had spent ten years of her life with me had become a stranger. I felt sorry for her wasted time, resources and energy but I could not take back what I had said, for I loved Mary Anne so dearly. Finally Ameena cried loudly in front of me, which was what I had expected to see. To me, her cry was actually a kind of release. The idea of divorce which had obsessed me for several weeks seemed to be firmer and clearer now. The next day, I came back home very late and found her writing something at the table. I didn't have supper but went straight to sleep and fell fast asleep because I was tired after an eventful day with Mary Anne. When I woke up, she was still there at the table writing. I just did'nt care so I turned over and was asleep again. In the morning she presented her divorce conditions: she didn't want anything from me, but needed a month's notice before the divorce. She requested that in that one month, we both struggle to live as normal a life as possible. Her reasons were simple: our son Ahmed had his exams in a month's time and she didn't want to disrupt him with our broken marriage. Just to make our last days together bearable I accepted her odd request. I told Mary Anne about my wife's divorce conditions. She laughed loudly and thought it was absurd. 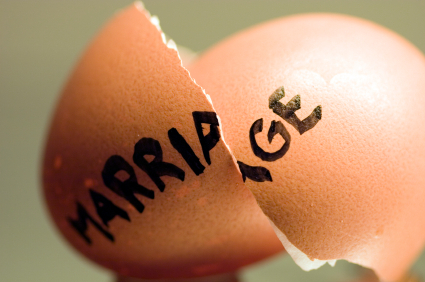 No matter what tricks she has, she has to face the divorce, she said scornfully. Ameena and I hadn't had any body contact since my divorce intention was explicitly expressed. So when I carried her out on the first day, we both appeared clumsy. Our son Ahmed clapped behind us, daddy is holding mummy in his arms. His words brought me a sense of pain. From the bedroom to the sitting room, then to the door, I walked over ten meters with her in my arms. She closed her eyes and said softly, don't tell Ahmed about the divorce. I nodded, feeling somewhat upset. I put her down outside the door. She went to wait for the bus to work. I drove alone to the office. On the second day, both of us acted much more easily. She leaned on my chest.. I could smell the fragrance of her blouse. I realized that I hadn't looked at this woman carefully for a long time. I realized she was not young any more. There were fine wrinkles on her face, her hair was graying! Our marriage had taken its toll on her. For a minute I wondered what I had done to Ameena. On the fourth day, when I lifted her up, I felt a sense of intimacy returning. This was the woman who had given ten years of her life to me. On the fifth and sixth day, I realized that our sense of intimacy was growing again. I didn't tell Mary Anne about this. It became easier to carry her as the month slipped by. Perhaps the everyday workout made me stronger. She was choosing what to wear one morning. She tried on quite a few dresses but could not find a suitable one. Then she sighed, all my dresses have grown bigger. I suddenly realized that she had grown so thin, that was the reason why I could carry her more easily. Suddenly it hit me, .. she had buried so much pain and bitterness in her heart. Subconsciously I reached out and touched her head. Our son Ahmed came in at the moment and said, Dad, it's time to carry mum out. To him, seeing his father carrying his mother out had become an essential part of his life. Ameena gestured to our son to come close and hugged him tightly. I turned my face away because I was afraid I might change my mind at this last minute. I then held her in my arms, walking from the bedroom, through the sitting room, to the hallway. Her hand surrounded my neck softly and naturally. I held her body tightly; it was just like our wedding day. But her much lighter weight made me sad. On the last day, when I held her in my arms I could hardly move a step. Ahmed had gone to school. I held her tightly and said, I hadn't noticed that our life lacked intimacy. I drove to office... jumped out of the car swiftly without locking the door. I was afraid any delay would make me change my mind... I walked upstairs. Mary Anne opened the door and I said to her, Sorry, Mary Anne, I do not want the divorce anymore. She looked at me, astonished. Then touched my forehead. Do you have a fever? She said. I moved her hand off my head. Sorry, Mary Anne, I said, I won't divorce. My marriage life was boring probably because she and I didn't value the details of our lives, not because we didn't love each other any more. Now I realized that since I carried her into my home on our wedding day I am supposed to hold her until one of us departs this world. Mary Anne seemed to suddenly wake up. She gave me a loud slap and then slammed the door and burst into tears. I walked downstairs and drove away. At the floral shop on the way, I ordered a bouquet of flowers for my wife. The sales girl asked me what to write on the card. I smiled and wrote: I will carry you out every morning until one of us leaves this world! Prophet[p.b.u.h] said, "The best of you is he who is the best to his family, and I am the best to my family"